Rear Hugger w/ Chainguard in Carbon with Fiberglass for Ducati Diavel Glossy Plain Weave shown. Belt Guard in 100% Carbon Fiber for Ducati Diavel 2011-2014 Glossy Plain weave shown. Belt Guard in 100% Carbon Fiber for Ducati Diavel 2015-2018 Glossy Plain Weave shown. Belt Guard in Carbon with Fiberglass for Ducati Diavel 2011-2014 Glossy Plain Weave shown. Belt Guard in Carbon with Fiberglass for Ducati Diavel 2015-2018 Glossy Plain weave shown. Sprocket Cover in Carbon with Fiberglass for Ducati Diavel Matte Plain Weave shown. Air Intakes in 100% Carbon Fiber for Ducati Diavel 2011-2013 Glossy Twill Weave shown. Air Intakes in Carbon with Fiberglass for Ducati Diavel 2011-2013 Glossy Twill Weave shown. Air Intake Covers in 100% Carbon Fiber for Ducati Diavel 2011-2013 This part fits some 2013 models, replacing OEM part numbers (484.2.091.1A / 484.2.092.1A) Matte Plain Weave shown. Air Intake Covers in Carbon with Fiberglass for Ducati Diavel 2011-2013 This part fits some 2013 models, replacing OEM part numbers (484.2.091.1A / 484.2.092.1A) Matte Plain Weave shown. Lower Headlight Cover in Carbon with Fiberglass for Ducati Diavel 2011-2014 Matte Plain Weave shown. Lower Headlight Cover in 100% Carbon Fiber for Ducati Diavel 2011-2014 Matte Plain Weave shown. 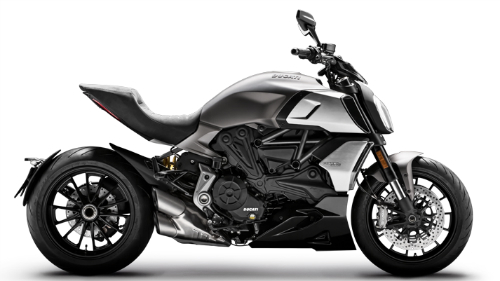 Front Fairing in 100% Carbon Fiber for Ducati Diavel 2011-2014 Matte Twill Weave shown. Front Fairing in Carbon with Fiberglass for Ducati Diavel 2011-2014 Matte Twill Weave shown. Front Light Surround in 100% Carbon Fiber for Ducati Diavel 2014-2018 Matte Plain Weave shown. Front Light Surround in Carbon with Fiberglass for Ducati Diavel 2014-2018 Matte Plain Weave shown.